Video is everywhere; entrepreneur and business guru’s are calling it ‘the holy grail’ for marketing in 2019 and there’s no surprise that all savvy businesses are using video to their advantage. Whether it be for marketing, training, explaining or selling, video is more accessible than ever before and creators are going to town. An important question that is commonly raised, is WHO should a business contract to produce their video content? We all know we need it, but how do we go about it? Some organizations are employing full-time staff to produce weekly or even daily video content but for many this isn’t a viable option. The thought of cost vs quality is an important one and for someone new to video production it can be daunting to think about how content production can fit your business model. Like many aspects of marketing, there isn’t one sure approach for every business; but there are some options to consider. Let’s dive into two avenues businesses and brands can explore. ‘Videographer’ and ‘Videography’ are relatively new terms – and now very widely used. So what exactly is a videographer and how can they be contracted to handle your business video content production? A videographer is generally a one-man-band. He or she has a broad knowledge of video making and can take care of basic production, shooting and editing. They will have a selection of equipment that they use from job-to-job and are technically pretty savvy. They’ll operate the camera, sound and set the lighting. Sometimes on jobs requiring a little more help they’ll bring other assistants on board to ease the workload. A videographer and his ‘run & gun’ kit. A simple example I can use is a wedding videographer. The scene is set; the location , the people, the schedule and of course the catering (perks of the job!). The videographers job is to capture what happens on the day, maybe approach it with their own unique angle and flair, then select some royalty free music and edit the project as per the brief and discussions with the client; who in this case is the Bride and Groom. This whole process can be nicely executed with one person – besides, nobody wants an entire film crew taking over their wedding. The videographer approach can be applicable and quite useful for businesses too. The first most notable reason is cost. Videographers can work within a lower cost bracket due to the simplistic approach. You’re often only paying for one persons’ time, cost effective equipment that they can charge out at a low rate. Videographers can work from home or share workspace arrangement so their overheads are lower ie. They’re not paying staff with bums on seats in an expensive studio space. Another plus to hiring a videographer is the fact they can usually work quickly and nimbly. Without having to worry too much about broader production duties and means the videographer can be more ready available and keen to hit the ground running. So if you have a last minute project to action quickly, the videographer might just be your best option. Production management and logistics – Now, although a videographer can have great technical and ‘video’ experience, you might find they aren’t experienced in the business and logistics aspects of production. For example; on larger projects you may need to source locations and arrange permits, keep track of legal implications, talent management, casting and deal memos. If your production is going to broadcast, you’ll need someone to arrange CAD (Free TV Australia) checks and approvals and also dispatch to Networks. More importantly, there’s only so much one person can achieve on their own. If your project requires a high level of quality and creative you’ll need more people to make it happen. The lighting, hair and makeup, production design and sound. There’s a lot to consider. 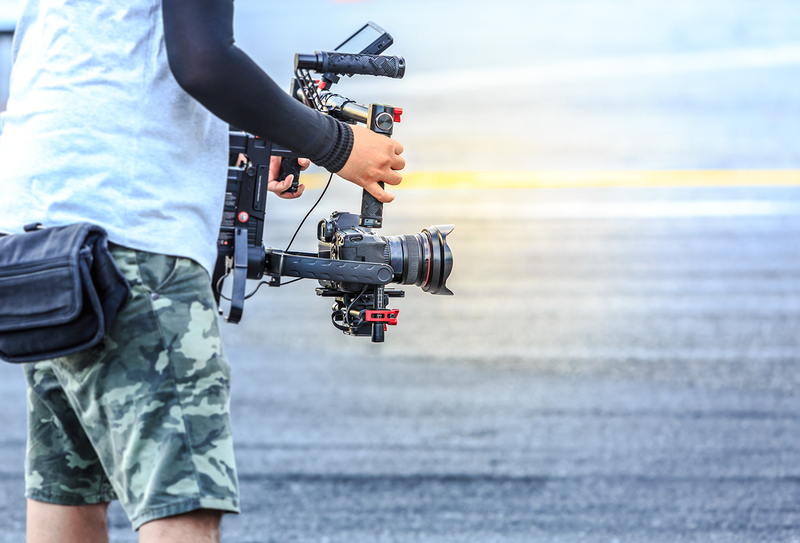 All these elements may seem overwhelming for someone new to video, but can, and should be handled by a production company. Let’s discuss who, why and how. 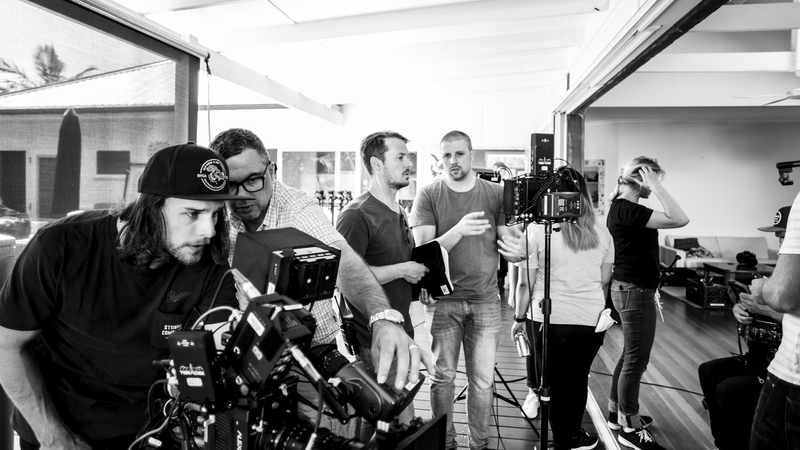 A production company is comprised of a specialist group of people who’s expertise is conceptualising, planning, shooting and delivering video and content projects at different budget levels and requirements. In the advertising world, a production company has the ability to interpret creative from an Advertising Agency or conceptualize a campaign from scratch and put all the necessary elements in place to bring that brief to life. Optika on set for a TVC shoot. Within the walls of a production company; the producers and production managers take care of bookings, logistics, schedules, budgets and permits. They often take care of account management and ensure your projects are executed on time and within the agreed budget. On larger projects, Production Co’s will often bring different Directors on board who suited for each project. Since the Director’s role is to handle the overall creative on the production end, choosing someone with the right experience, approach and ‘voice’ to a project can amplify the creativity and execution in the final cut. During the days of filming, the production company will provide the crew, equipment, support, catering, vehicles, safety, props and talent to get the job done. Depending on the size of the project, this could involve a crew of 2-3 people and a basic filming permit with talent release forms on hand. Or for a large scale TV commercial production, it could be a crew of 40 people plus. Lighting trucks, vans, stunt departments and the list goes on. It’s the Production Companies responsibility to advise the client or agency, the best approach to the production and how to achieve the best creative result to suit the budget. For on-going projects or repeat work, Production Companies have tried and tested workflows for handling data and relaying information, so the client can expect consistent results across their projects. Did you need to call on an old project you shot 3 years earlier? It’s likely the Production Company will have your files safely archived for future use. Can usually supply videographers for smaller jobs too! Contracting a Production Company won’t be idea for all businesses. The expense and level of input may not be necessary for what you require. It’s also important to remember, production companies vary in size and offerings, some even focus on the smaller scale projects you’d usually hire a videographer for. Depending on your business and marketing goals, it may even make sense for you to hire both. 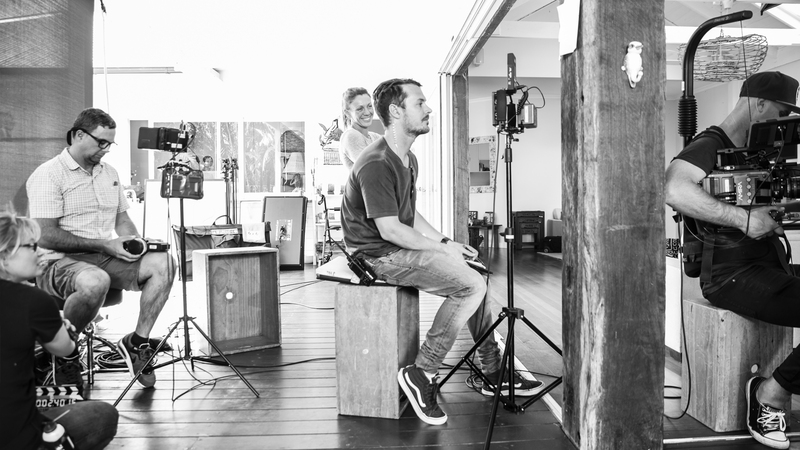 A freelance videographer for the small week-to-week work and a production company to handle the larger campaigns is a common approach worth considering. OPTIKA is an adaptive production company and we pride ourselves in our ability to scale our services depending on the client and project. From small one-man-band shoots to large scale TVC productions (see some of our work) we can do it all. If you’re looking to implement a video marketing plan for your business, please reach out and we’d be happy to advise the best approach for your needs. James is Director and Executive Producer at OPTIKA.